In this timely collection of essays, Frank Ackerman and Elizabeth A. Stanton show that the impact of inaction on climate change will be far worse than the cost of ambitious climate policies. Ambitious measures to reduce carbon emissions are all too rare in reality, impeded by economic and political concerns rather than technological advances. In this collection of essays, Frank Ackerman and Elizabeth A. Stanton show that the impact of inaction on climate change will be far worse than the cost of ambitious climate policies. After setting out the basic principles which must shape contemporary climate economics, Ackerman and Stanton consider common flaws in climate change policy – from mistaken assumptions that dismiss the welfare of future generations and anticipate little or no growth in low-income countries, to unrealistic projections of climate damages that dismiss catastrophic risks – and offer their own insightful remedies. They question the usefulness of conventional integrated assessment models (IAMs) that model the long-term interaction between economic growth and climate change, and propose an alternative in their Climate and Regional Economics and Development (CRED) model. 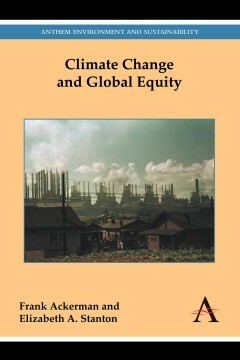 In this incisive work, Stanton and Ackerman offer a timely and original contribution to the fields of climate economics and global equity. Frank Ackerman is a senior economist at Synapse Energy Economics and lecturer at Massachusetts Institute of Technology, and has written numerous books and articles on the economics of climate change, energy and environmental policy. Elizabeth A. Stanton is a senior economist at Synapse Energy Economics and has written widely on the economics of equity and environment, climate change, energy efficiency and renewable energy.